Ooty doesn’t need any introduction at all. Located in the southern state of Tamil Nadu, it is unarguably one of the most popular hills stations in entire India. 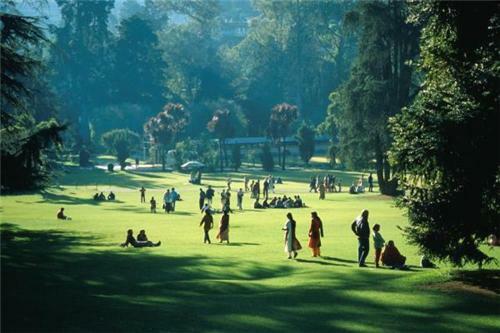 Ooty especially enjoys a special place among Bangalorens, as Tamil Nadu is a neighboring state of Karnataka. Ooty doesn’t have any railway station. The nearest railway station to Ooty is Mettupalayam, which is roughly 46 kms away from Ooty and takes 3 hours to reach Ooty. The train journey between Bangalore and Mettupalayam is roughly of 7 hours. There are ample state run buses & taxis from or near Mettupalayam station for Ooty. However, most awesome way to reach Ooty is to take toy train from Mettupalayam railway station to Udhagamandalam Station. The toy train passes through lush greenery and is one of the highlights of touring to Ooty. However, there is only one toy train from Mettupalayam station throughout the day. Departs Mettupalayam station at 7: 10 A.M and reaches Udhagamandalam station at noon. Ooty doesn’t have an airport. The nearest airport is Coimbatore airport, approximately 98 kms away from Ooty. From Coimbatore there are ample buses and cab services for Ooty; road journey takes around 5 hours. There are ample state TNSTC buses (Tamil Naidu State Transportation Corporation Ltd) from Coimbatore to Ooty. JetKonnect Airlines: Flight no S2 4851: departs Bangalore 9: AM & reaches Coimbatore at 9: 50 pm; runs on all days. JetKonnect Airlines: Flight no S2 4842: departs Bangalore 6: 35 PM & reaches Coimbatore at 7:25 PM; runs on all days. Jet Airways and Air India also operate daily flights from Bangalore to Coimbatore. Total road distance between Bangalore and Ooty is approximately 262 kms, i.e. around 6 hours of journey. State run KSRTC (Karnataka State Road Transport Corporation) - runs direct buses from Bangalore to ooty. Besides, many travel agencies in Bangalore provide Ooty tour packages. Please visit www.ksrtc.in to book tickets. Green line holidays: (080) 41139854 2280104, 9845047994 – toll free reservation no: 080 32327999. KPN Travels: (080) 41151899, (080) 41151799, (080) 26484333, (080) 26489333.